Preheat the oven to 250F and line a baking sheet with parchment paper. 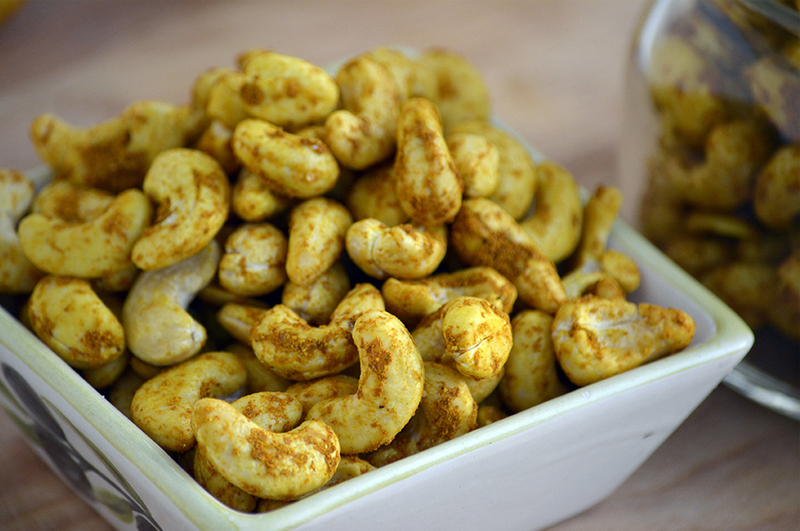 Mix together the first five ingredients and toss with the cashews. Spread the nuts in an even layer and roast for 35-40 minutes.